and appear as results when you search for them in the Google app on your Android phone. 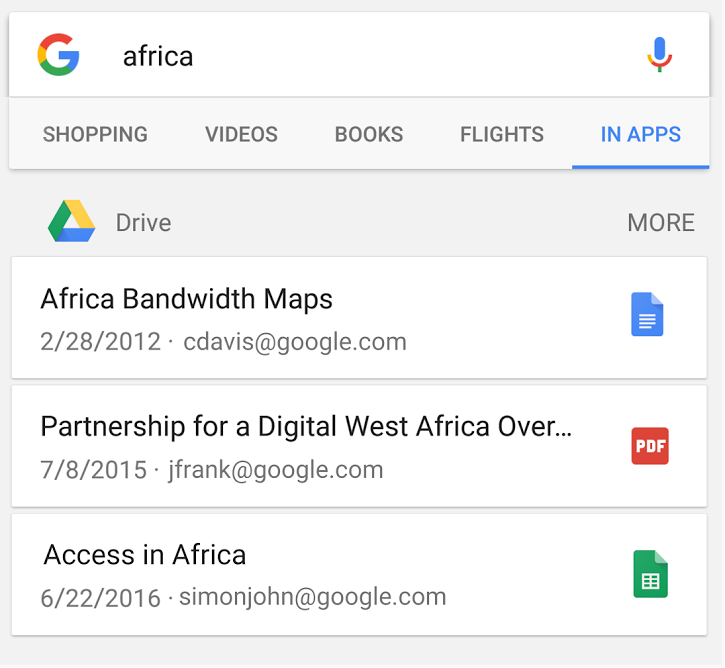 Simply type your query and tap the “IN APPS” tab to view any Drive files relevant to your search. Select those files to open them in the appropriate app. It’s now even easier to find your Google Drive files wherever and whenever you need them. 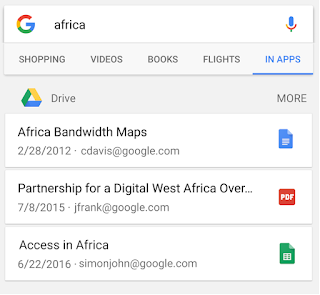 Following this launch, Drive files and folders will be indexed via Firebase App Indexing and appear as results when you search for them in the Google app on your Android phone. Simply type your query and tap the “IN APPS” tab to view any Drive files relevant to your search. Select those files to open them in the appropriate app.